The Carnival in Nice is one of the most important events of the year. 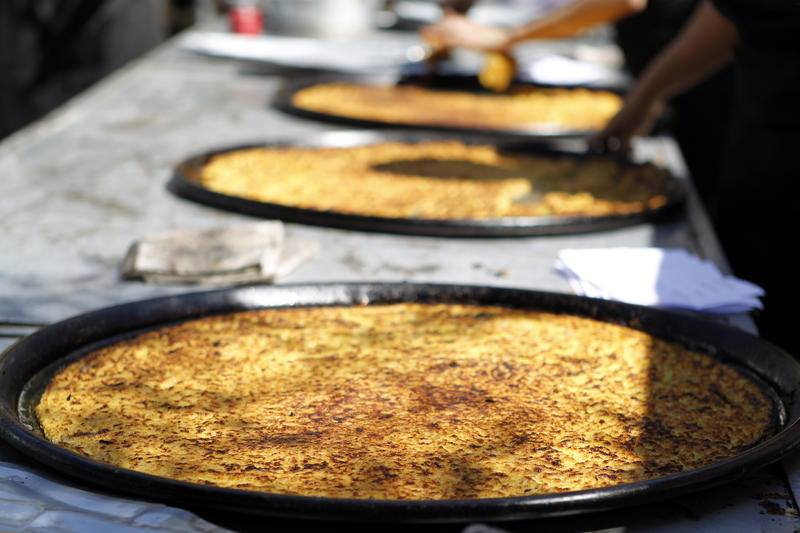 During this year’s edition, a degustation of Socca is offered to all visitors every Sunday at 11 am at the Jardin Alber 1er (Yitzhak Rabin Square). Socca is one of the traditional specialties of Nice. It’s a crispy, unleavened flatbread made of chickpea flour and olive oil, served hot and seasoned with pepper. It is similar to the Italian farinata or cecina, and to the Argentinean faina. 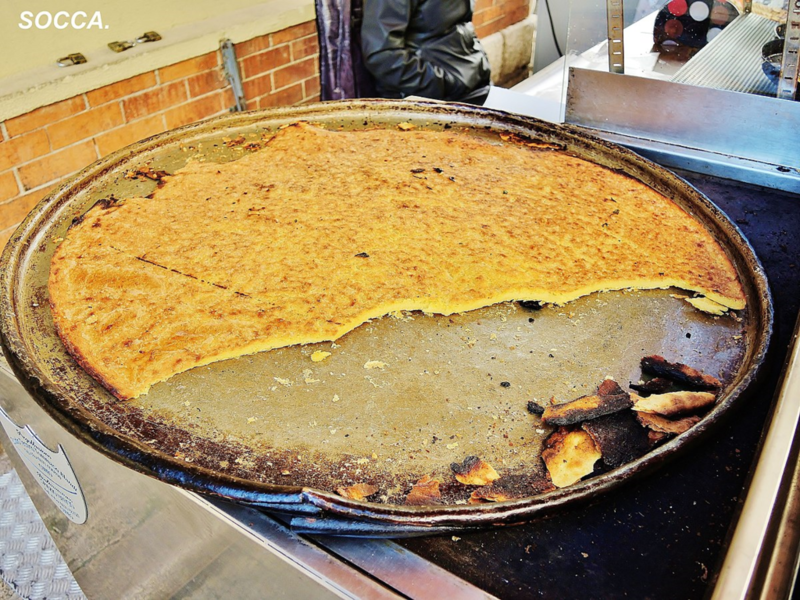 In Nice, Socca is a popular street food, and as such it is eaten with the fingers. It can be enjoyed at the market in Cours Saleya, among others. It is also gluten-free, so it really suits all palates. Socca allegedly originated in Genoa, Italy, and it then became typical also in other parts of Italy, such as in Tuscany, and in south-eastern France, particularly in Nice. Socca is generally easy to made, but some instruments are essential to make it perfect. One of them is a large round copper tray, of about 50 to 70 cm of diameter, important because it makes the heat spread evenly. Socca is usually cooked in a very hot wood-fire oven, for only 5-6 minutes. But there are valid alternatives to try to make it at home: also, for example, cooking it on a pan as if it were a regular pancake. This is our suggested recipe to make your own socca. With a whisk, mix the water with the chickpea flour, also adding the olive oil and about a tsp of salt. Make sure to remove lumps. Let the batter rest for at least half an hour. Lightly oil the baking tray and pour the batter in it, evenly covering the surface. Cook in pre-heated oven at 300°C (570°) until the top of the socca starts getting brown. Remove, slice and serve hot, adding pepper to taste. For a bit of variation, try different kinds of flour.